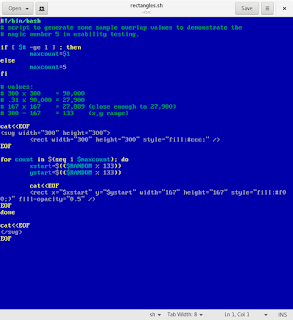 Open Source Software & Usability: How many testers do you need? When you start a usability test, the first question you may ask is "how many testers do I need?" The standard go-to article on this is Nielsen's "Why You Only Need to Test with 5 Users" which gives the answer right there in the title: you need five testers. But it's important to understand why Nielsen picks five as the magic number. MeasuringU has a good explanation, but I think I can provide my own. The core assumption is that each tester will uncover a certain amount of issues in a usability test, assuming good test design and well-crafted scenario tasks. The next tester will uncover about the same amount of usability issues, but not exactly the same issues. So there's some overlap, and some new issues too. If you've done usability testing before, you've observed this yourself. Some testers will find certain issues, other testers will find different issues. There's overlap, but each tester is on their own journey of discovery. How many usability issues is up for some debate. Nielsen uses his own research and asserts that a single tester can uncover about 31% of the usability issues. 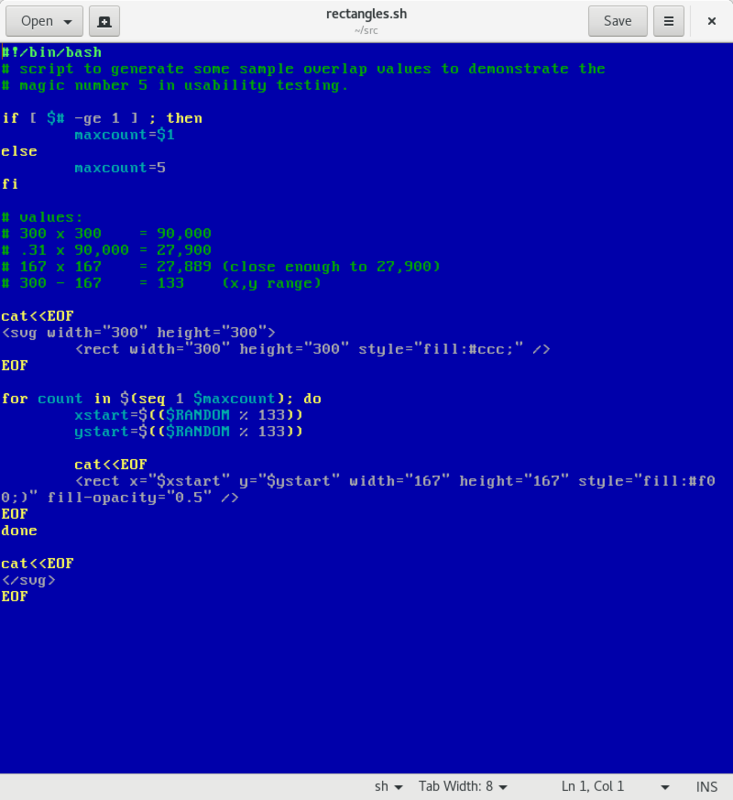 Again, that assumes good test design and scenario tasks. So one tester finds 31% of the issues, the next tester finds 31% but not the same 31%, and so on. 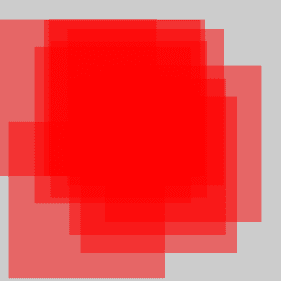 With each tester, there's some overlap, but you discover some new issues too. 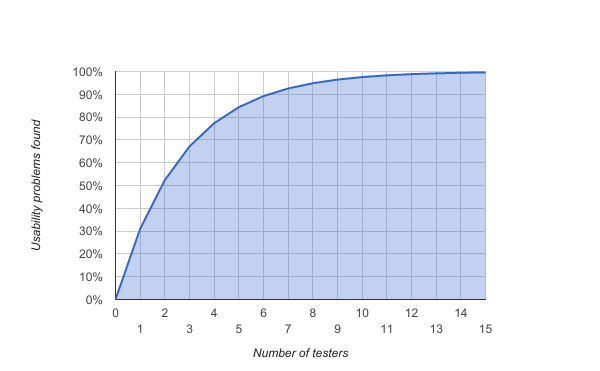 …where L is the amount of issues one tester can uncover (Nielsen assumes L=31%) and n is the number of testers. I encourage you to run the numbers here. A simple spreadsheet will help you see how the value changes for increasing numbers of testers. What you'll find is a curve that grows quickly then slowly approaches 100%. Note at five testers, you have uncovered about 85% of the issues. Nielsen's curve suggests a diminishing return at higher numbers of testers. As you add testers, you'll certainly discover more usability issues, but the increment gets smaller each time. Hence Nielsen's recommendation for five testers. Again, the reason that five is a good number is because of overlap of results. Each tester will help you identify a certain number of usability issues, given a good test design and high quality scenario tasks. The next tester will identify some of the same issues, plus a few others. 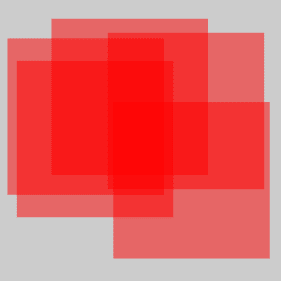 And as you add testers, you'll continue to have some overlap, and continue to expand into new territory. Let me help you visualize this. 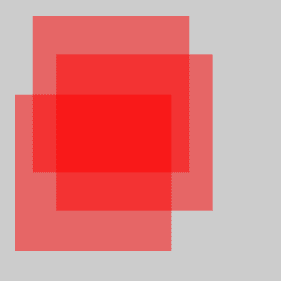 We can create a simple program to show this overlap. 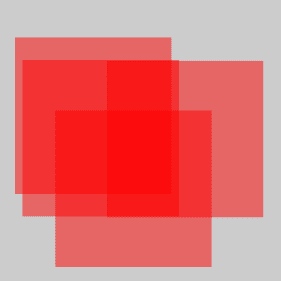 I wrote a Bash script to generate SVG files with varying numbers of overlapping red squares. 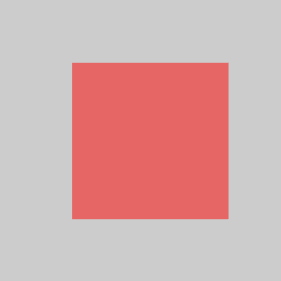 Each red square covers about 31% of the gray background. 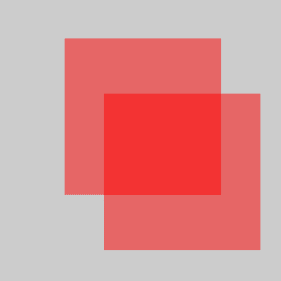 As you increase the number of testers, you cover more of the gray background. 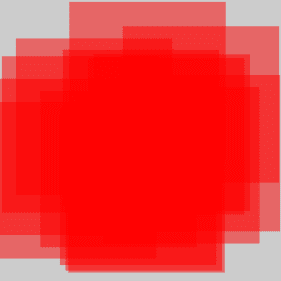 And you also have more overlap. The increase in coverage is quite dramatic from one to five, but compare five to fifteen. Certainly there's more coverage (and more overlap) at ten than at five, but not significantly more coverage. And the same going from ten to fifteen. 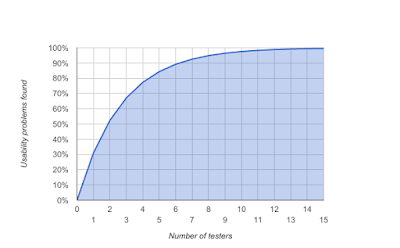 These visuals aren't meant to be an exact representation of the Nielsen iteration curve, but they do help show how adding more testers gives significant return up to a point, and then adding more testers doesn't really get you much more. Don't wait until the end to do your usability tests. By then, it's probably too late to make substantive changes to your design, anyway. Instead, test your design as you go: create (or update) your design, do a usability test, tweak the design based on the results, test it again, tweak it again, and so on. After a few iterations, you will have a design that works well for most users. A better March Madness script?